Have you ever thought twice about giving someone a lift? Or have you ever apologised to your passengers for the perpetual mess in your car? Organising your car can be overwhelming, but fret not! These five tricks are so simple yet practical that will certainly come in handy! 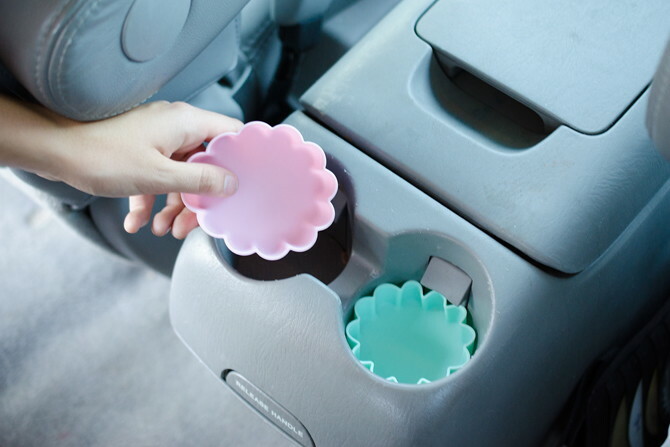 Line a cupcake paper in each cup holder and you won't encounter any more bothersome process of cleaning out stains, crumbs and sticky grime. You can simply throw the cupcake papers away when they turn filthy. With this easy and quick trick, you can clean your cup holders at a lightning-fast speed! Can't stand the chaotic mess in the backseat of your car? Restore order by hanging a shoe organiser on your backseat with a string. This tip is especially useful for those with kids. 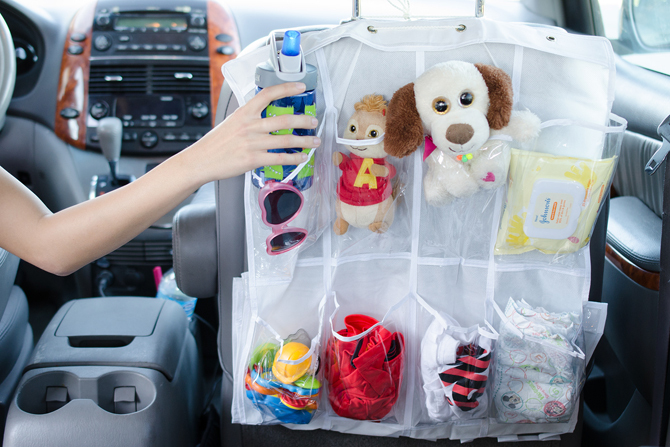 Pop some toys, art supplies, snacks, drinks and wet wipes into the pockets of the shoe organiser, and your backseat has never looked so organised! Mobile phones are no longer a tool just for communication, but also utilised as a navigation tool. Instead of buying a car phone holder, you can make your own with just a rubber band in a mere minute. Wrap a rubber band through the air vent to secure your phone in place. Perfect solution to keep your phone upright! 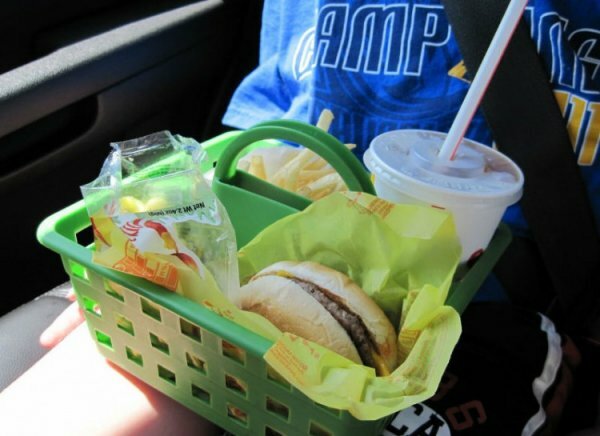 Eating in the car can get messy and a shower caddy works great as a makeshift food tray. Tuck your food neatly into the shower caddy and you can enjoy your meal without leaving a mess on your car seat! Over time, your car becomes a hotspot for paper wrappers, fruit peels and unfinished food. Simply line a trash bag in the cereal container to keep your car trash-free and the snap-cover lid prevents spills!